Aruna Seth shoes really do allow you to make a shoe statement. You may be familiar with their signature butterfly brooch and now the brand is branching out into pointy toe styles too. The brand’s creative director describes them as cashmere comfort for the feet¦ What more could you want from your bridal shoes?! 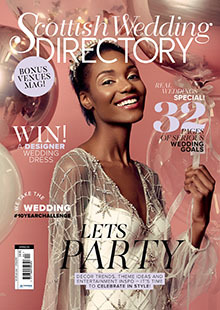 With the brand’s creative director hailing from the workshops of Jimmy Choo, you can be assured you’re going to be wearing impeccably designed shoes if you choose Rainbow Club. 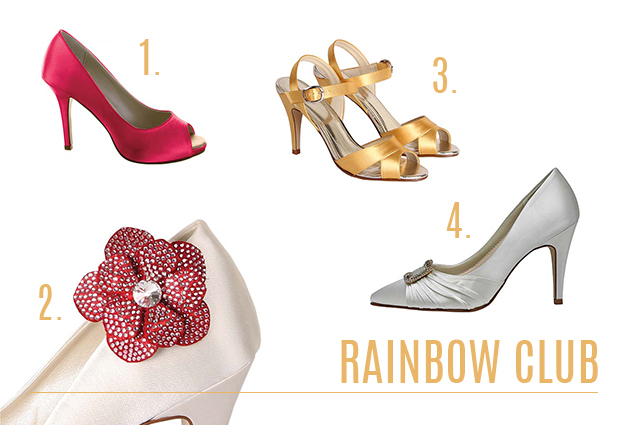 With their expert colour matching service, these shoes would be the perfect bridal accessory to dye and wear again and again! Each pair is inspired by the designer’s love of art deco architecture, perfect for the bride who wants a quirky twist on classic design. Handcrafted in Spain with luxe fabrics and leather soles and uppers, Harriet Wilde shoes are a real investment piece for the stylish bride. 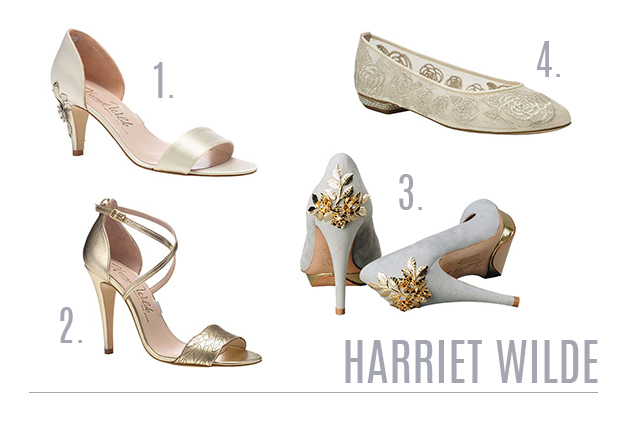 Sharon from stockist Arabesque in Perth says that the Harriet Wilde bride is confident in her own style, and wants her wedding shoes to make a statement. Rachel Simpson has become the go-to choice for brides looking to add a touch of vintage glam to their outfit. The designer is heavily influenced by 1920s and 30s designs, also incorporating gorgeous colour combinations, butter soft leather and modern metallic accents. Offering different t-bar and strap styles, alongside low to medium heels, you won’t need to kick off these shoes in order to hit the dancefloor!